Cartagena de Indias is a magic, beautiful, and legendary city that preserves the mysteries of past times in the Caribbean. The fifth largest city in Colombia, Cartagena is one of the most popular tourist destinations in the country. Within the tall walls of the historic center (the “ciudad amurallada”) lives a magical city that any lover of travel should try to visit at least once in their lifetime: here are 5 reasons why. 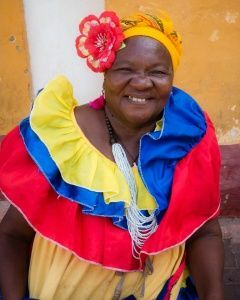 As your wandering you’ll encounter iconic Afro-Colombian women in beautiful bright dresses selling fruit in Cartagena’s various plazas. These women are called “palenqueras” andare internationally recognised as a symbol of the city. The palenqueras come from a UNESCO-world heritage site, the village of San Basilio de Palenque (located just an hour from cartagena), which is the first freed slave settlement in the Americas and the home of a completely endemic language only spoken in the village. Cartagena has some of the best restaurants in Colombia and is recognize as a foodie-traveler’s paradise. There are many different kinds of restaurants in the city to suit each traveler’s budget, whether you like to visit high-end gourmet restaurants serving the finest seafood, or local market stallsfeaturing different presentations of local dishes, stews, and traditional sweets from the region. Cartagena is located on the Colombian Caribbean coast and, as such, is surrounded by a series of beautiful beaches and islands. True sun-worshippers will want to jump on a boat and pay a visit to the famous Islas del Rosario archipelago, a national park with over 30 islands where you can bask in the warm sun of an idyllic Caribbean beach. Or get off the grid with a trip for a few nights to the idyllic Islas del San Bernardo. Cartagena has a dark history: it was the largest slave port in the Americas, and the city was regularly invaded and besieged by pirates. Today Cartagena has a different story with a bright future and is home to some of the finest historical architecture in the country. 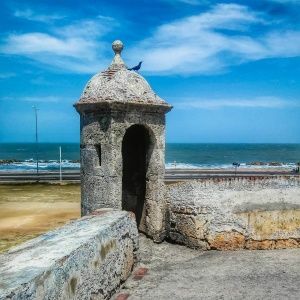 The well-preserved San Felipe Castle was one of the most important Spanish forts in the Americas, and the old city walls are still home to the cannons that once kept Francis Drake at bay. 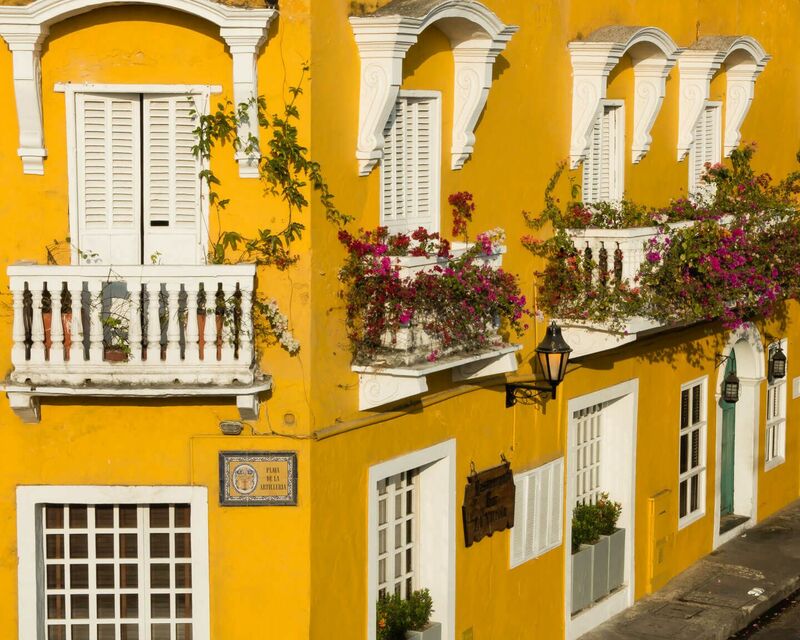 Cartagena is full of history in every colonial street corner, and a walk through the Walled City feels like a trip to the past. Cartagena is the home to some of the most important and exciting Colombian music, with artists who champion champeta, salsa y bambuco. With street dancers in the many squares of the Old City, and a myriad of live music venues, Cartagena is one of the best cities in the Americas to enjoy music and dancing.